According to Gazzetta Dello Sport, Manchester United are planning to hijack the deal for Chelsea's target, Nicolo Barella. The report claims that both Cagliari and Barella would find it ‘impossible to say no’ should United launch a bid for the 21-year-old. The Italian club has slapped a price tag worth £50 million on their starlet and United are one of the few clubs who possess the wherewithal to fork out such an amount. Chelsea have been actively scouting the transfer market for an able replacement for the recently departed Cesc Fabregas. They seemed to have set their sights on Barella after the deal for Leandro Paredes fell through. The Italy international is one of the hot prospects in the ongoing transfer window who has caught the eye of several European heavyweights. Therefore, Cagliari are aware of his demand in the transfer market and eye his sale as a key source of funds. Apart from Chelsea and Manchester United, Inter are also involved in the race for Barella's signature. However, the San Siro outfit, who have been encumbered by FFP regulations, are not willing to meet Cagliari's asking price. Reports suggest that Cagliari have already given Barella's suitors an ultimatum, demanding them to either match the player's valuation or move elsewhere. The Italian appears to be happy at his hometown club but is aware that a move away from Cagliari is necessary to unlock and showcase his true potential. Nicolo Barella's recent displays are tempting for any high-profile club to come a-calling. Furthermore, Manchester United are in great form at the moment and look ready to bolster their squad for upcoming challenges. 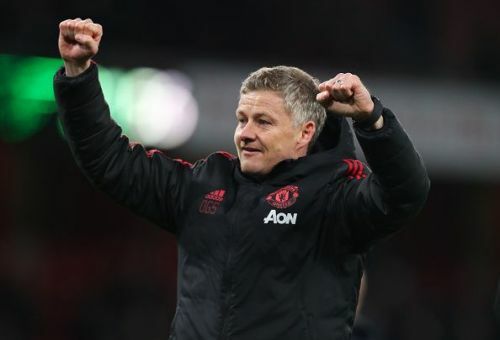 Following Mourinho's departure, Solskjaer has gotten off to a tremendous start with eight successive wins so far. Only time will tell if he is prepared to make a move for Barella this month or wants to defer the decision until the summer transfer window.